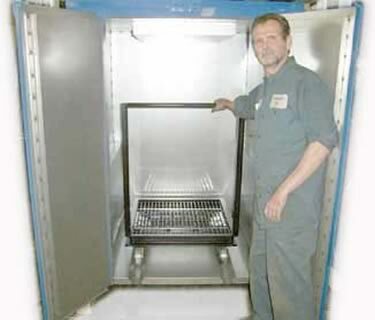 A curing oven is a type of industrial oven used in various industries using adhesives, coatings, thermoset plastics, paint, as well as rubber. These ovens are used to cure these coatings or other materials onto the parts. 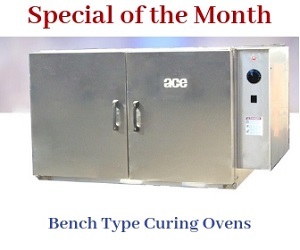 ACE Equipment designs and manufactures bench type curing ovens that assure short cycle times, uniform heat distribution, efficient curing process for all product loads, and fast cool rates enabling high productivity. Due to these benefits, ACE electric curing ovens are also employed during various commercial processes. 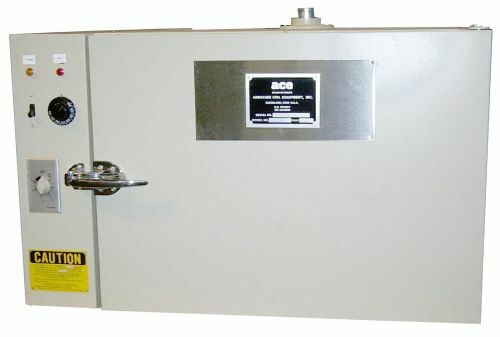 Why ACE Industrial and Commercial Curing Ovens? The following beneficial features of the curing ovens provided by us have immensely contributed to our growth as one of the leading industrial curing oven manufacturers in the USA. Our industrial ovens for curing are equipped with advanced thermal process engineering features that help achieve high productivity. 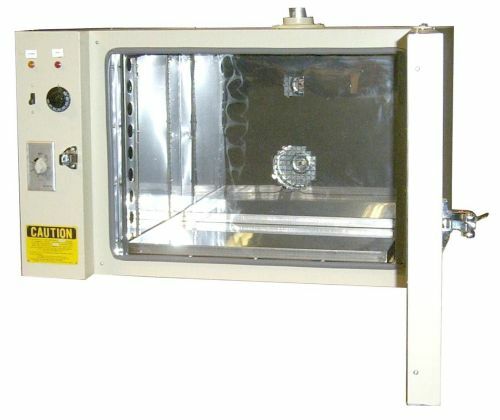 These industrial heating ovens provide temperature tolerance that assures repeatable results. The ovens feature highly-efficient electric or gas heat sources that help ensure uniform heat distribution. We use only specific materials for creating insulation inside the oven. This ensures optimum energy savings. The ovens are designed to remove the volatile organic compounds (VOCs), which are produced during curing, thereby fulfilling the requirement of a safe and secure work environment. Recirculation fans driven by efficient motors help reduce energy expenditure. Human Machine Interface (HMI) along with programmable controls allow operators to gain easy updates on machine diagnostics. All designs provide easy access to oven components, as well as process areas within these ovens. All our ovens undergo rigorous testing to ensure maximum productivity and long term performance. We provide expert technical assistance on all oven models, and spare parts can be made available in shortest turnaround times. The ovens can be availed in various specifications for curing small to large loads in various industrial applications. For more features and specification - Click Here. Being an industry-leading electric and gas curing oven manufacturer, ACE Equipment has always strived to achieve 100% customer satisfaction. Our vast industry experience coupled with expertise allows us assure fast turnaround times on all custom orders. Do you think your process requires a customized solution for paint curing, polymer curing, adhesive curing, and product drying? Our team will work closely with you to understand your specific requirements and create a configuration that meets your purpose. For any custom curing oven requirement, please Request an Oven Quotation, or download a Request for Quotation Form - MS Word doc. Call toll free 800-255-1241 or ASK Scott Now !